15 Projects for Carmax Consulting Inc.
15 Reviews for Carmax Consulting Inc.
Great Job! 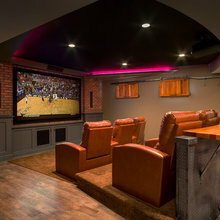 Last spring we decided to get our basement finished in our new home. Carmax Consulting came in and completed the project. One of our hopes was that the basement could be finished like the rest of our home. Carmax was very responsive, open and courteous. They listened to our plans and helped us refine, modify and enrich them. Carmax gave amazing attention to the details in our home. They were always incredibly helpful and ready and available to answer any questions. We also added some extra renovations throughout the main part of our house. We had fireplaces put into two of the upstairs rooms and they are fabulous. Carmax always remained positive and reassuring. We appreciated the clear and concise way they dealt with our paperwork. We had access to the jobs being done. We were always given quotes, and the cost of everything was consistently listed and detailed. Our expectations have far been exceeded. We enjoyed working with the Carmax crew. They are a class act. They strive to serve. They are creative, diligent, proactive and their communications are exemplary. They went over and above in all areas of service. 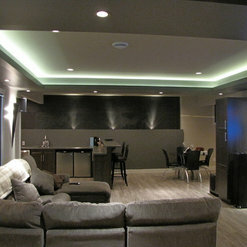 We are so happy with the outcome of our newly finished basement and house renovations. 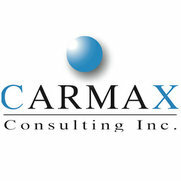 We highly recommend the services of Carmax Consulting. After a year of searching for the perfect house in the perfect neighbourhood, we decided we already had that. Except our house was stuck in the 80’s. We were referred to Carmax by friends and couldn’t be happier! 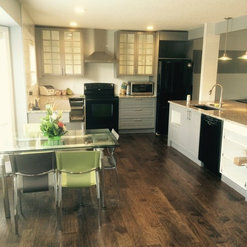 From start to finish the whole house Reno went beautifully and efficiently. Carl, Jenn, Paul, Leo, Brandon, Triple 6, Livewire, and all the Carmax team did an impeccable job. They gave us the updated “Traditional Contemporary” look we were looking for. Thanks to Carmax we now have the perfect home!! 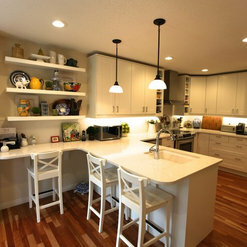 We used Carmax to install our kitchen cabinets which we purchased from IKEA, & they also completed further renovations to our kitchen including demolition, electrical, plumbing etc. I liked that Carmax use a program called "builder trend" and we were able to log in and see the "schedule" during our reno process. 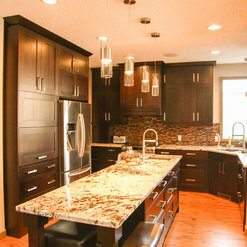 Issues that came up during the reno's were dealt with appropriately and quickly. Our project was completed with in the outlined budget & estimated timeline that was given to us. 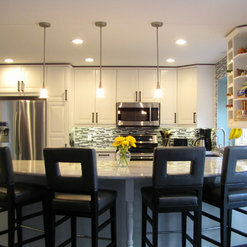 Overall we love our new kitchen & were happy using Carmax! We hired Carmax for an extensive home renovation. 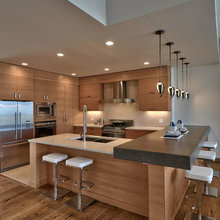 Carl was a pleasure to work with he was able to see our vision for the home and was respectful in his guidance. The entire main floor of the home was gutted. While I was already working with other contractors prior to Carmax they coordinated the project. 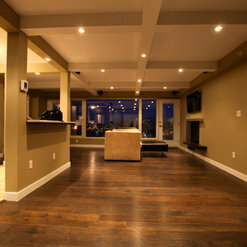 Work included 3 bathrooms, kitchen, hardwood flooring, tile work, carpet, paint on three levels. Structural work was also done and sound proofing between floors. The project did run over the projected timeline but this was not a problem as we added an additional project. Overall the experience was mostly positive on a daily basis. Employees are well mannered and trust worthy. We have referred Carmax to friends and family. We would trust this company in the future with our projects. Not the cheapest company but the quality is solid and I believe you get what you pay for! 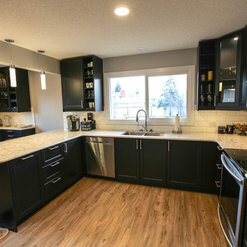 We hired Carmax for a kitchen reno, and we are very pleased with the excellent customer service provided and quality workmanship with all trades that came into our house. Each and every one of them were professional, friendly, and left the work site tidy at the end of each day. The special bonus was they loved our dog as much as she did them! We are more than happy to recommend them to our friends and family members! Hello Ann, thanks for the Review. We're glad you enjoyed your experience with Carmax. We hope you enjoy your renovation for years to come. 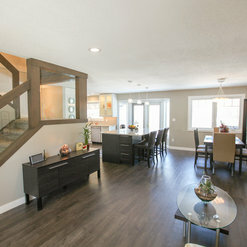 Our home renovation was a success from start to finish. We worked with Justin, the Renovations Manager, for about six months before the reno was to begin. With his help and guidance we purchased all our flooring, tiling, granite, etc and all was on site before demolition day. We then left on a 2 1/2 month holiday, with the assurance that the job would be completed before our return. Carmax were true to their word!!! The renovation is absolutely more than my husband I could have ever asked for. Each day living in our new space is better than the last - it truly has become a modern and very comfortable home. We cannot thank Carmax enough for the professionalism of their staff, and a job well done!! I would recommend this company to anyone who is contemplating a small or big renovation in their home. 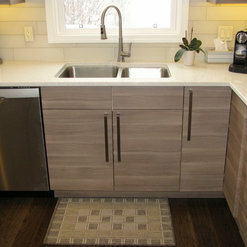 Kitchen reno, Ikea cabinets. I would probably not use them again. There were several mistakes during construction and at first they rectified them at their expense. However, after more occurred they became reluctant to. We also had to return hundreds of dollars worth of material to Ikea ourselves --cabinetry that they included in the plans which were extraneous. We were encouraged to use their materials supplier to ensure parts and labour the warranty, but when the need arose I had to be the one to get the warranty honoured with the manufacturer and Carmax then asked me to split the cost of installation. Other problems with installation have cropped up but we've hired others to rectify them instead. I think their intentions are good...they just struggled with our rather modest job. Install is not yet completed, but service so far has been exceptional. Delays installing complete kitchen as flooring install required on my side. No issues with adjusting schedule so all work is done properly. 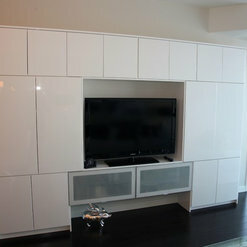 I had 2 Ikea cabinets that had to be customized, figured I was being over charged. But after the numerous hours spent I think I got a deal. With the installer I had, perfection was key as he did not want to come back for fixes (He is the guy that does all the fixes). Have been very happy with staff once job was start doing regular calls to check on status and not dropping pending work. There were no up front payments and only a partial payment requested a few weeks after 3 days of install(majority) were performed. Great people to deal with. Booking their service may be your only issue as it maybe weeks before they can start work. I'll upload some before/after pictures when I'm done. 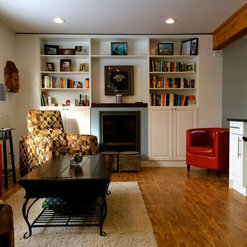 We worked with Carmax to renovate the main floor of our bungalow in 2013. They were very professional throughout the entire process. There were some bumps along the way but they always made our concerns a priority and didn't stop until we were satisfied. We are very happy with the work they did, their professionalism and we absolutely love the end result. Plus they are experts at working with Ikea products, installing an Ikea kitchen and were able to create us built in custom book shelves at an affordable price using mostly Ikea products. We would definitely work with them again! Thank you very much for the kind words! We hope you can enjoy your renovation for many years to come. 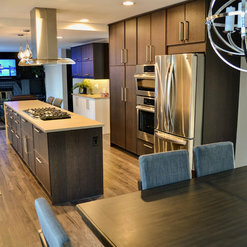 We completely renovated our Condo in Fort Saskatchewan (1100 sq. ft.). Initially Carmax Consulting Inc. visited the site, discussed with us in detail the scope of the work and our vision of the project. 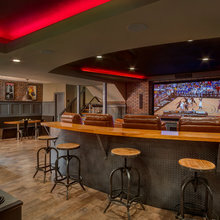 They then came with design consultants and together we mutually agreed on the renovation complete with drawings, descriptions, completion dates and a cost estimate of the entire project. Immediately upon commencement of the project it was readily evident that the trades people were very knowledgeable, professional and genuinely determined to provide quality workmanship, they took a great deal of pride in their work. All were very pleasant, considerate and accommodating and provided sage advice and suggestions throughout the project, quite often keeping us from making some poor decisions. We are extremely happy with the renovation and have absolutely no reservation in recommending Carmax Consulting for any renovation. We would also be happy to discuss Carmax Consulting with any of their prospective clients. Thank you very muck for the review, and please let us know when we could come in and take some final pictures. Thanks again for your business. Thanks for the kind words and the nice review. We're glad we could help make your renovation a dream come true. Let us know if there is anything else we can do for you in the future. I found Carmax Consulting to be extremely helpful in the kitchen/flooring/electrical renovation of our home. From providing ideas that I never considered, to allowing me time to absorb ideas, and walking me through the process. 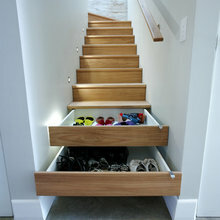 Excellent management of trades through the house. Very little down time waiting for next trade. Clean up by trades was exceptional. Installments for payment followed best advice for dealing with contractors....you never paid for something that wasn't done and visible. I would use their services again and refer to friends. 7 Ideabooks for Carmax Consulting Inc.